all your driveway and patio dreams. 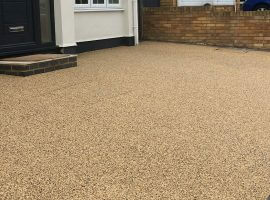 Britannia Paving install resin bound driveways as they are an excellent alternative to block paving, tarmac, and concrete finishes. 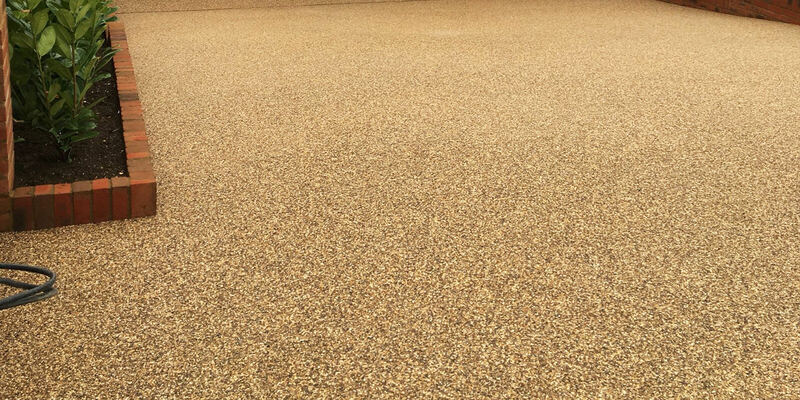 Resin bound and bonded surfacing systems offer a cost effective solution to the more traditional surfacing materials. They produce a strong and maintenance free covering that is eco-friendly and pleasingly decorative. 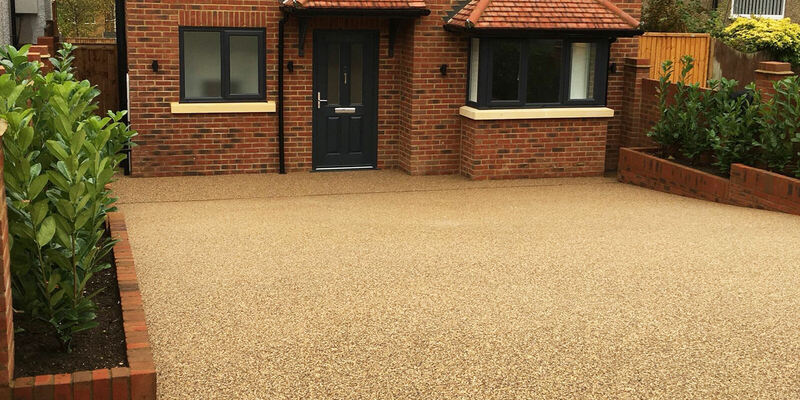 Resin bound and bonded surfacing systems can be applied to virtually all driveway surfaces and can be finished comparatively quickly minimising any disruption to your property. 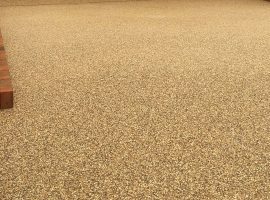 It leaves a smooth attractive finish and is available in a wide range of different colours. 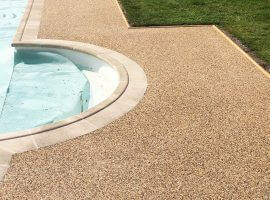 Britannia Paving design and install award winning resin bound driveways. 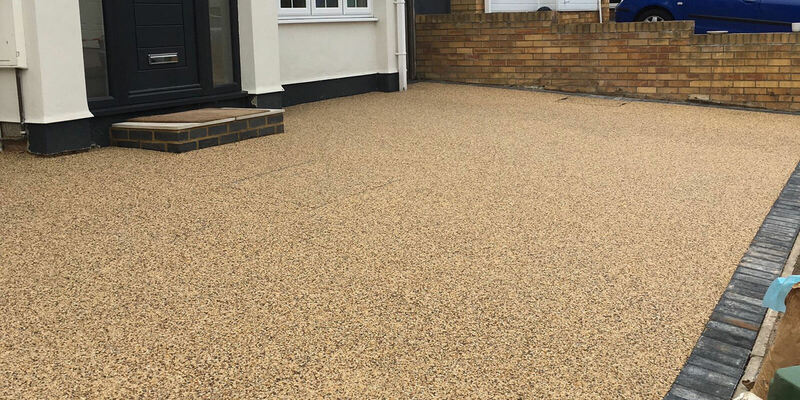 We are proud to offer a 7 year guarantee for resin bound driveways in Middlesex, London, Buckinghamshire, Hertfordshire, Surrey and Hampshire. 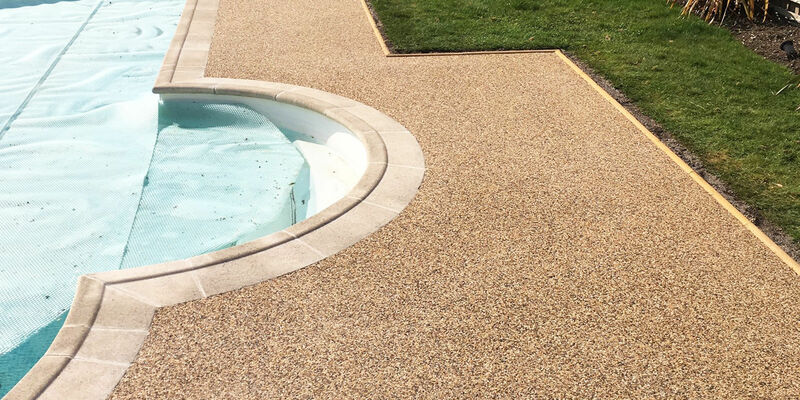 We have a large portfolio of happy customers with resin bound driveways in Middlesex, London, Buckinghamshire, Hertfordshire, Surrey and Hampshire. 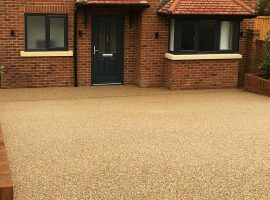 Call Britannia Paving today for a free resin bound driveway quotation! 07760 462821, 0208 485 8005, 0800 1910567 or 01252 755315 and we will be happy to give you a FREE, no obligation survey and quotation for your beautiful driveway or patio. We will even guide you through our comprehensive portfolio of products and offer great ideas on how to put different products together to create a look to suit your style and budget.